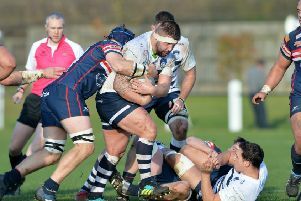 Yorkshire Carnegie made it three wins on the spin after mounting a successful second-half comeback at Richmond. Yorkshire made hard work of it in the first half, conceding five penalties within the first 15 minutes, while Richmond’s ful-back, Rob Kirby, was lethal with the boot and converted two of the penalties. Carnegie were, therefore, forced to chase the game almost from the outset. 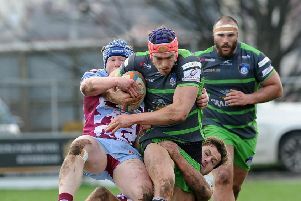 It was difficult for Yorkshire to show the clinical play that had earned victory against Cornish Pirates six days earlier, as the visitors scarcely saw the ball in the first half. Yorkshire came out of the changing rooms at half-time in a bullish mood. They were making stronger hits, more powerful runs and, more importantly, they had reduced the penalty count significantly. Early on, Yorkshire won a penalty and Jacob Umaga impressively converted from 40 metres out for three points. Ten minutes into the half, Yorkshire were over for their first try. Temm dotted down, scoring with his first touch since coming back from the sin bin as the lineout was driven over from close range. Five minutes later, the visitors were in again. This time, Chris Elder found himself on the end of a looping pass and he off-loaded inside as he was tackled into touch. The ball bobbled and was scooped up by Jacob Umaga to score under the posts. He converted his own try and took the score to 16-15. With 10 minutes left, Yorkshire were knocking on the door again and a penalty kicked to corner meant one thing. The line-out was caught and Yorkshire went for the drive. As the maul collapsed Dylan Donnellan dug the ball out and scored in the corner. Umaga converted from the touchline to extend the lead to six with not long left.